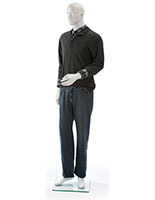 This silver male mannequin is a great addition to any boutique, outlet, showroom, and department store. 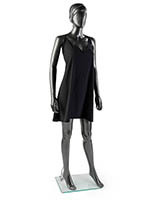 Built from fiberglass with a metallic gray finish, this full body fixture features a unique abstract design while realistically displaying your merchandise. 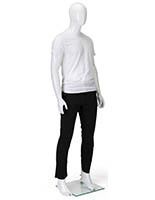 Detachable arms, hands, leg, and torso allow you to easily dress this faceless male mannequin and quickly change out your products as new ones come in. 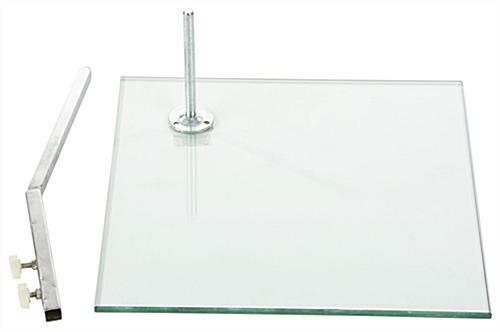 This fixture is designed for long-term use, as the fiberglass withstands daily wear and tear while the tempered glass base stabilizes the full body unit in a busy store. To give you some versatility with your display, calf and heel rods are provided allowing the option to showcase footwear. 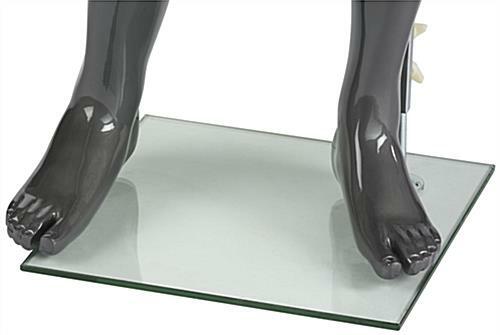 Fully formed hands and separated toes let you to exhibit a wide variety of accessories, from bags to different styles of shoes. 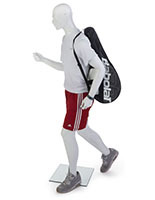 With an athletic torso, arms, and legs, this fixture looks great displaying either the latest men’s fashion or athletic gear. 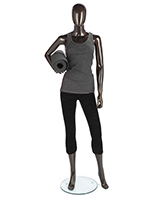 Simple assembly is required, so this mannequin can be used right away as a great addition to your retail space! 15.0" x 0.5" x 15.0"
Exactly what I was hoping for. 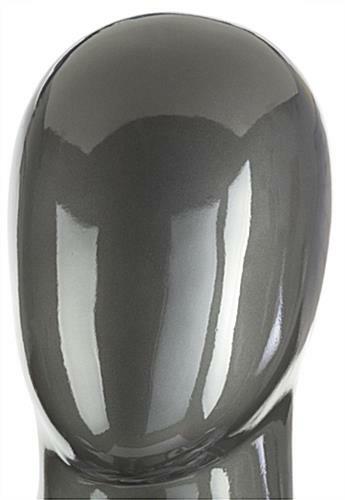 Great price and great quality product. Easy assembly, Thank you! Thank YOU Cordelle for the great review! We're so glad to hear you're satisfied with your order. We hope you shop with us again soon!